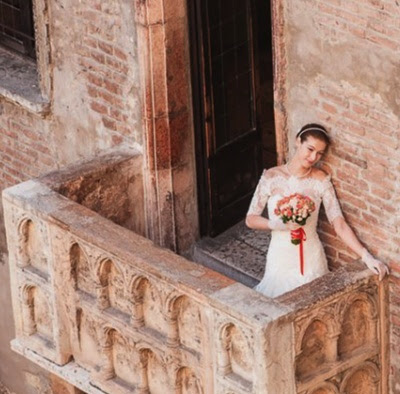 If Shakespeare’s Juliet was on her balcony in Verona, staring down into the courtyard below, this is the sight she would see. A dashing, robust young Italian called, Alfa Romeo. 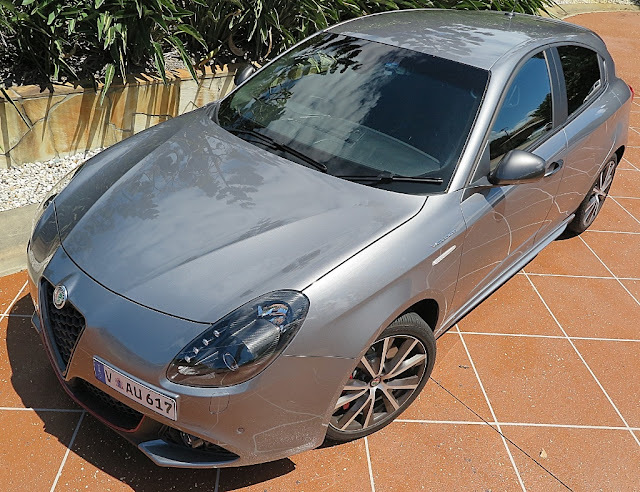 The Giulietta (English translation: Juliet) is showing a fresh face on the market, with the addition of the Veloce derivative, fitted with Alfa Romeo’s superb 1750 turbocharged four cylinder. 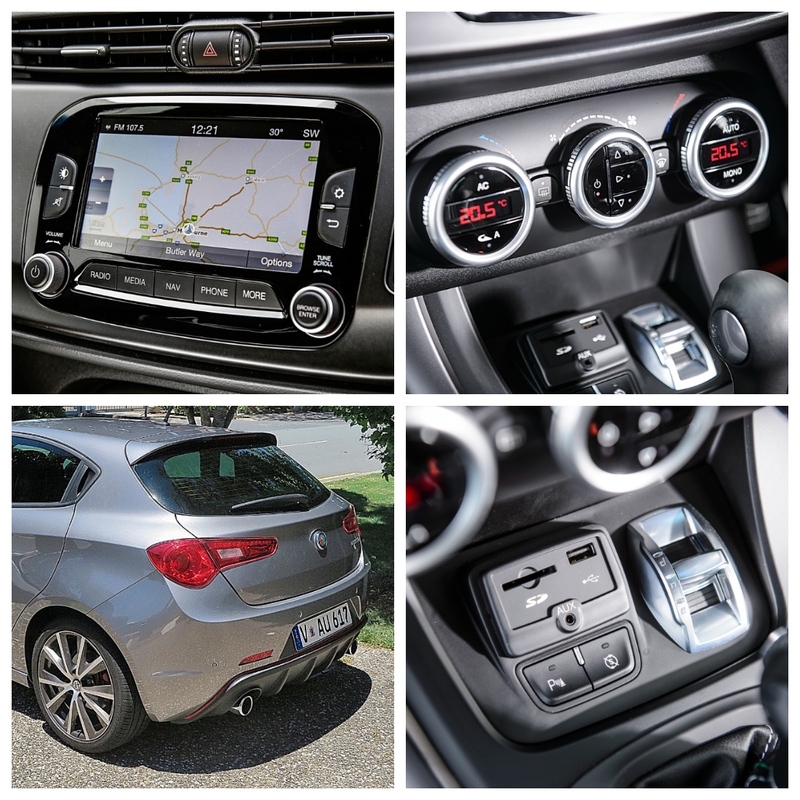 The other models in the Giulietta range feature FIAT’s 1.4L MultiAir engines, but it’s the 1750, which bristles with Italian brio, verve and sparkle - the minute you turn the ignition key. 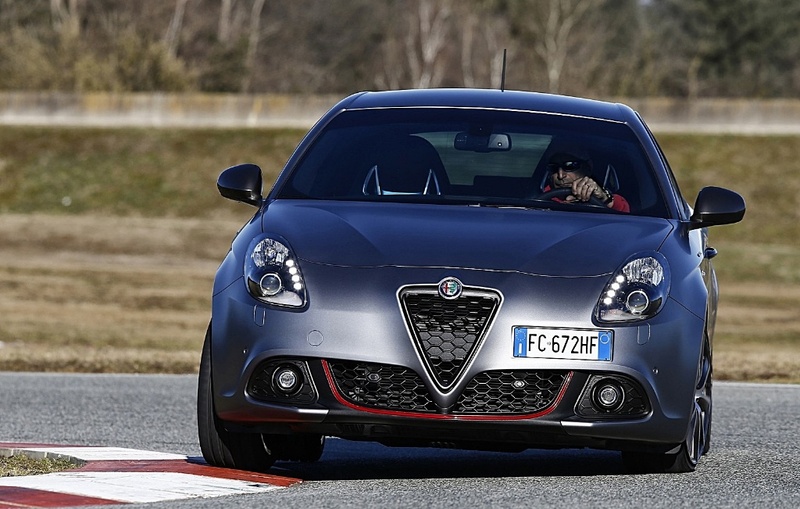 Mind you, both the Giulietta, and the Mito are in their twilight period on the market, as they will soon be replaced by new cars, which will sit under the brand new, and highly-acclaimed Giulia sedan. FCA boss Sergio Marchionne has dictated that Alfa Romeo will once again become a ‘Premium Brand’, and that means FCA will lavish budget and resources ensuring that its sporting passenger cars, and sports cars, are just that. Sporting! 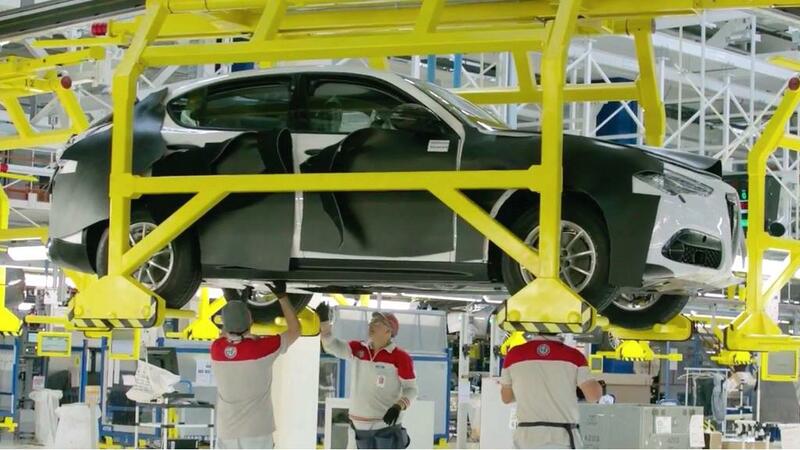 Alfa Romeo has been a somewhat lost marque, ambling aimlessly about the quiet halls of Alfa Romeo in Arese, near Milano, for a couple of decades. FIAT knew it needed to do more to exploit the famous brand, but was so broke, it could barely afford paper cups for the water coolers. So now we have the Giulia, which has been welcomed with rave reviews from the automotive press; next will come the station wagon version (which should do well in Europe), but all commentators on the Italian car business will be looking for the Stelvio SUV to put Alfa Romeo on the map globally. 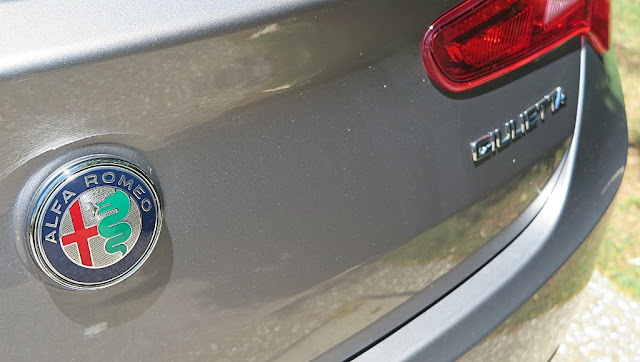 Don’t you think it’s sad that great marques like Alfa Romeo, Maserati and Jaguar have to debase their heritage by producing SUVs with a sporting flavor? Oh well. Whatever! Got to keep the money rolling in. 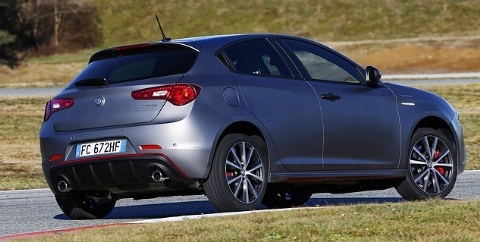 Back to the Giulietta Veloce. 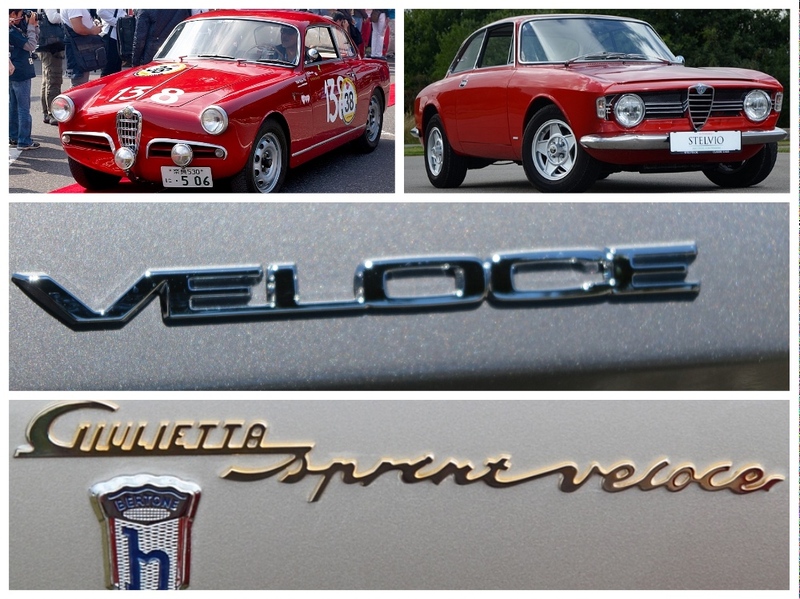 Veloce is a badge which has adorned quite a number of Italian cars over the last 70 years, and probably most of them were Alfa Romeos. In 1956 there was a beautiful little coupe styled by Bertone; and then Bertone did it again in 1965. These were simply beautiful cars to look at and drive. Perhaps not great to own, as they were some of the cars which created Alfa Romeo’s terrible reputation for rust and unreliability. As far as I’m concerned if you were an Alfa Romeo owner back then, you only had yourself to blame. Just drive the car for the week after a service and tune up; and don’t drive it in the winter when there’s salt on the roads to melt the ice! The rest of the time, do what I do. Go into the garage, and stare at this beautiful example of Italian automotive art and breathe deeply. Ah. Back to the present, and the Alfa Romeo Giulietta Veloce. First of all, I cannot in all conscience congratulate the Chief Designer from Alfa Romeo Centro Stile, Lorenzo Ramaciotti. 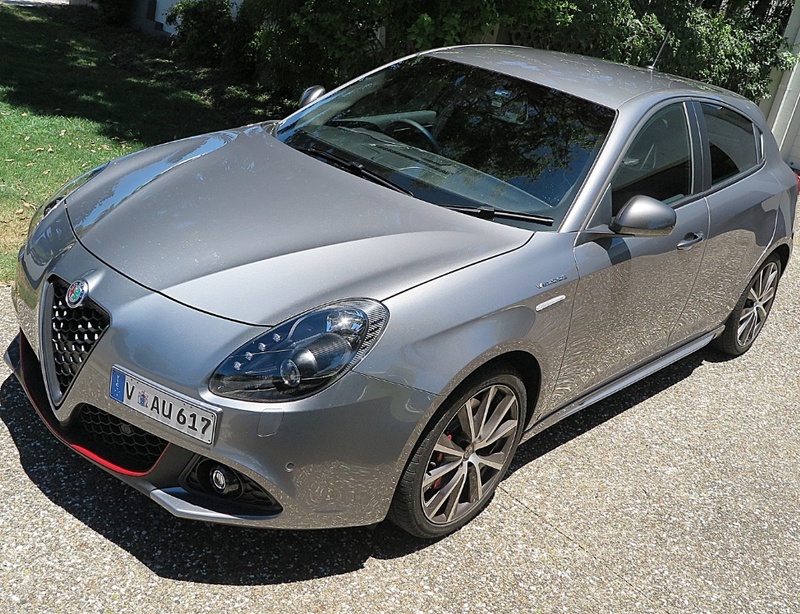 I think that when you look at the Giulietta and the MiTo from the front, they both look like a pair of sad and mournful basset hounds. The front styling of both these cars in my opinion is not beautiful, it’s downright plain! But, I remind you, that’s only my personal opinion. 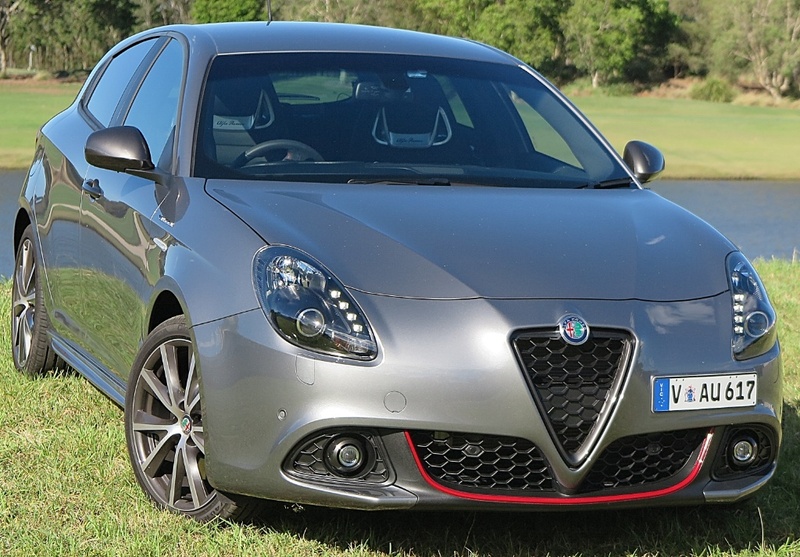 As for driving Giulietta? Give me more! Once you fire up the 1750, this is a car that demands to be driven. Also, the twin clutch transmission, which is a hybrid developed by Borg Warner and Magneti Marelli, is a great example of development and calibration. 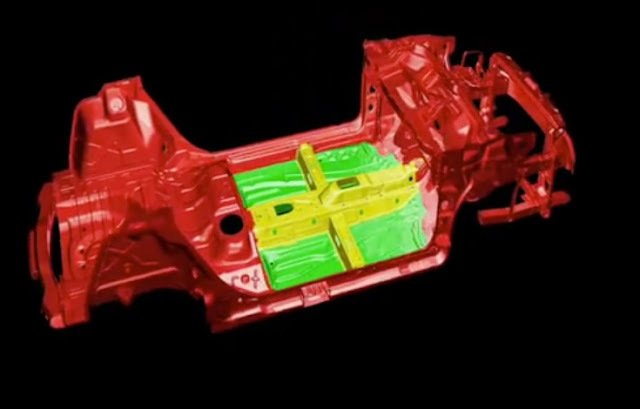 The box, which is manufactured by FIAT at Verone, near Milano, is by Borg-Warner; and the software is by Marelli. This DCT works perfectly, and suffers no low speed stutters. The changes are smooth as silk. And, when you’re revving the 1750, the engine noise; and the exhaust note, sounds very sporty. Every minute in this car reminds me why I LOVE everything Italian – art, culture, language, music, food, wine, people and CARS! 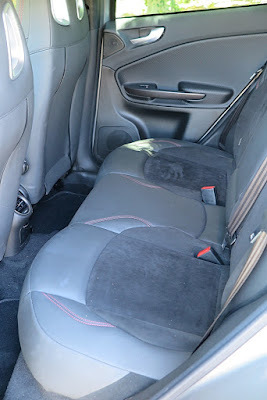 I find the interior quite disappointing from a design point of view. It seems to be a bit of this, and a bit of that. Some fake carbon fibre on the dash and doors, a few switches littered about the place, and the info on the LCD between the speedo and the tacho requires even young, 20/20 drivers to wear reading glasses – the type size, and the way it’s crammed into such a tiny space just makes it all too hard to see at a glance. You’re right. However, there’s more. 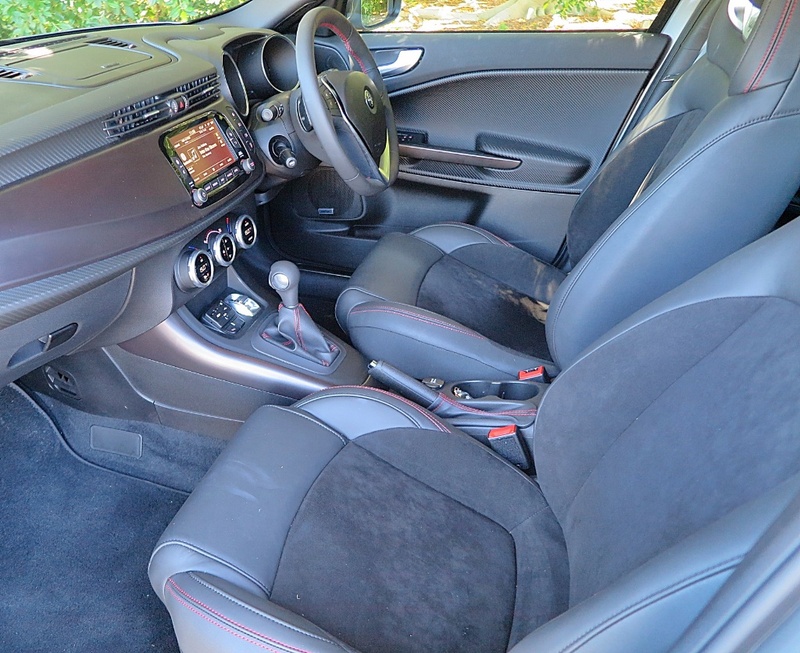 Despite the relative efficiency of the newly-developed FIAT C-Evo platform, the Giulietta is compromised in terms of interior space. There’s barely enough room for a 95 percentile adult to be really comfortable in the back seat, but front seat passengers can set up the front seats very nicely. I should point out that the platform itself is VERY old. It served the FIAT Stilo, Bravo and Lancia Delta, so it’s well past its effective use-by date. But, that comes back to FIAT’s ability to afford new models. The parent company survives on debt, so we should be grateful it found the necessary Euros to update the old FIAT Stilo platform to the C-Evo status. However, let’s not stray too far from reviewing the Alfa Romeo Giulietta Veloce. It’s a fun car to drive. The 1750 engine delivers fantastic performance and revs out cleanly, with crisp changes from the DCT. I do feel sorry for all my mates in the USA who get very little (and I mean, very little) opportunity to drive an Alfa Romeo the way they’re meant to be driven. The Giulietta restores your faith in the Italians to produce a fun, sporty and thoroughly entertaining car – regardless of size. Well, the Giulietta might just be that car too. Buy one now, before they disappear in a year or so. 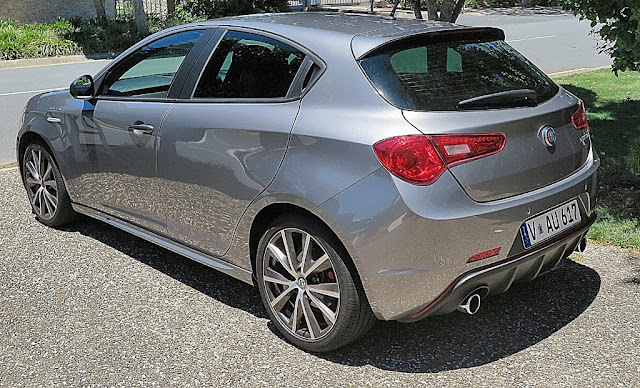 If you want a thoroughly Italian, compact hatchback, with a lot of get-up-and-go, then get a Giulietta – you won’t be sorry. Mind you, as you drive out of the courtyard, Juliet might get a bit misty-eyed.